April Is the Month to . . . 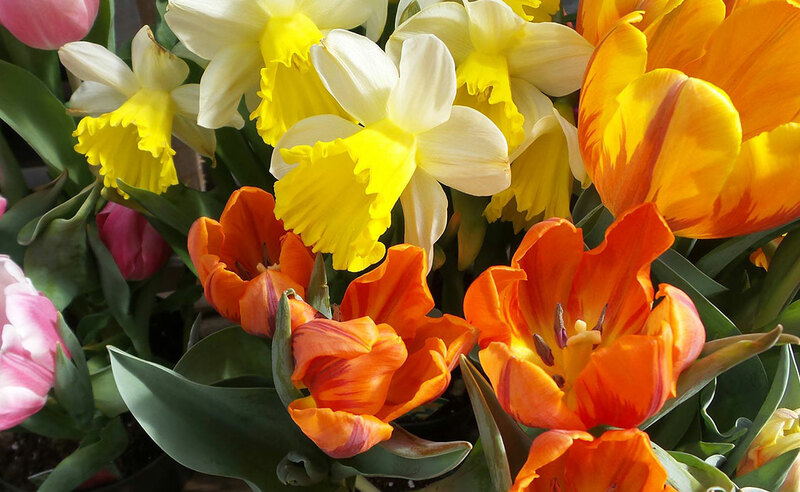 Celebrate National Garden Month! 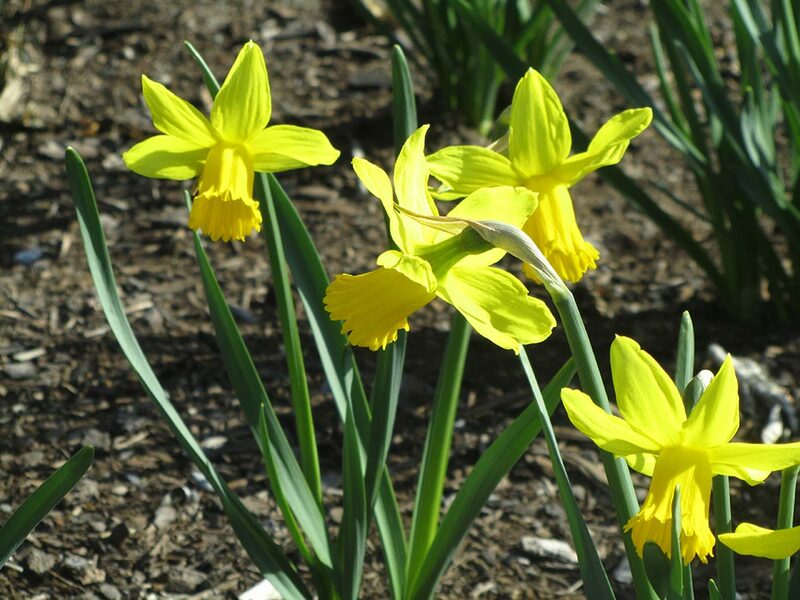 April a great time to plan and partake in activities that celebrate the benefits of gardening and plants. 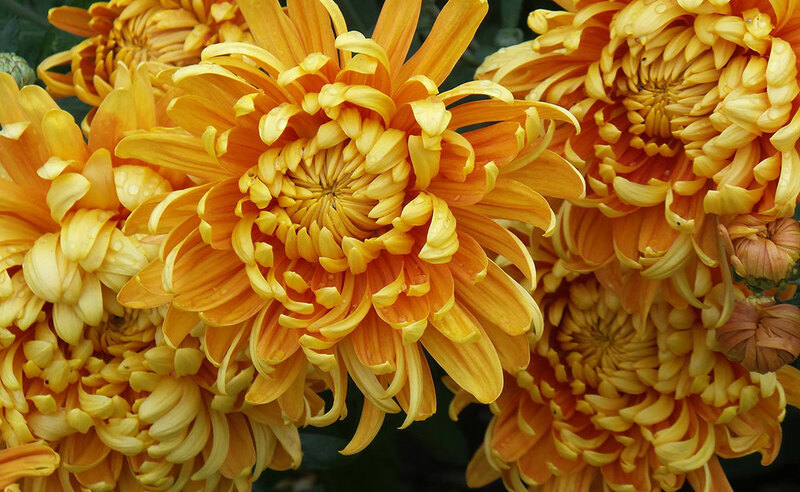 Here are some ideas from the National Gardening Association to get you started. 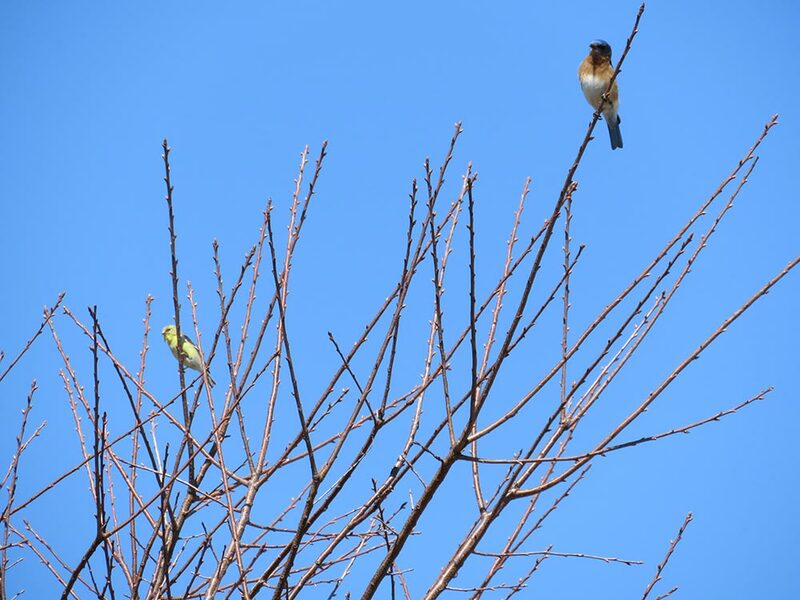 Stand back, breathe in the spring air, listen to the birds, and notice the plants that are emerging from the ground and the buds swelling on the trees and shrubs. Test your soil, if you are installing new garden beds or if you haven’t done a soil test in the past three years. As soon as the soil has thawed, you will be able to dig down 8-12” to get a sample. It doesn’t matter if your soil is wet. Soil test kits are available from your local UMaine Extension county office or the Analytical Lab and Maine Soil Testing Service. Work compost into your garden beds as soon as the soil is not frozen or wet. The compost will improve aeration in clay soils and increase the water holding capacity in sandy soils. Dig up and enjoy the parsnips left in your garden from last fall. Try this recipe from Kathleen Savoie, UMaine Extension Educator, for Refrigerator Spring Pickles using parsnips and other spring vegetables. As soon as planting conditions are right, it is safe to sow the following vegetable seeds: peas, parsnips, spinach, carrots, lettuce, onion sets, beets, turnips, parsley, and radishes, as well as plant these seedlings: broccoli, cauliflower, and cauliflower outside in the garden. You can also start cabbage, broccoli, and cauliflower seeds in a cold-frame or in a seed bed outside. It is a good idea to use row covers to protect the seed beds from birds and late frosts. Maine Vegetable Gardening: Keep Your Garden Growing — Plant from Spring to Fall is a great resource to get you started. Sprout seed potatoes by moving them from cold storage to room temperature. Refer to Bulletin #2077 Growing Seed Potatoes in the Home Garden for detailed tips on growing potatoes successfully. Complete any tree and/or shrub pruning. 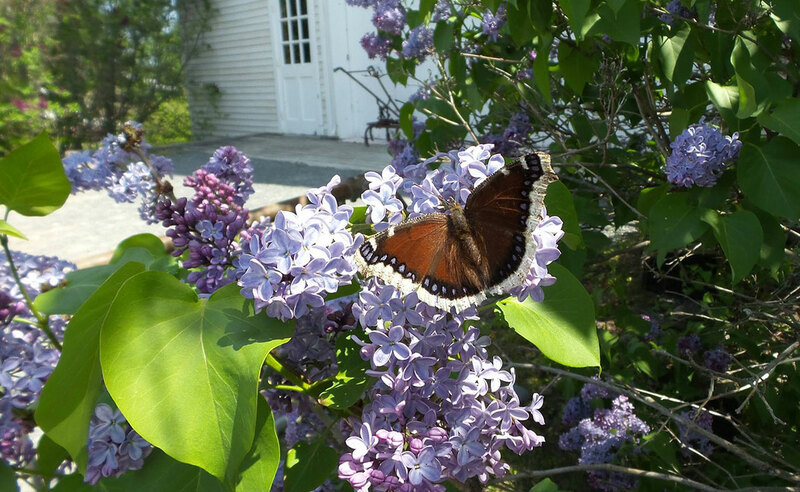 Keep in mind that you do not want to prune spring flowering plants (like forsythia and lilacs) until after they are done flowering and the flowers are spent. For more information, see Bulletin #2169 Pruning Woody Landscape Plants. Late April is a good time to plant raspberries and blackberries. Bulletin #2066 Growing Raspberries and Blackberries, prepared by David Handley, UMaine Extension Small Fruit Specialist is the perfect resource to assist you. Clean up perennial beds by removing debris from last season. Cut back perennials almost to ground level. 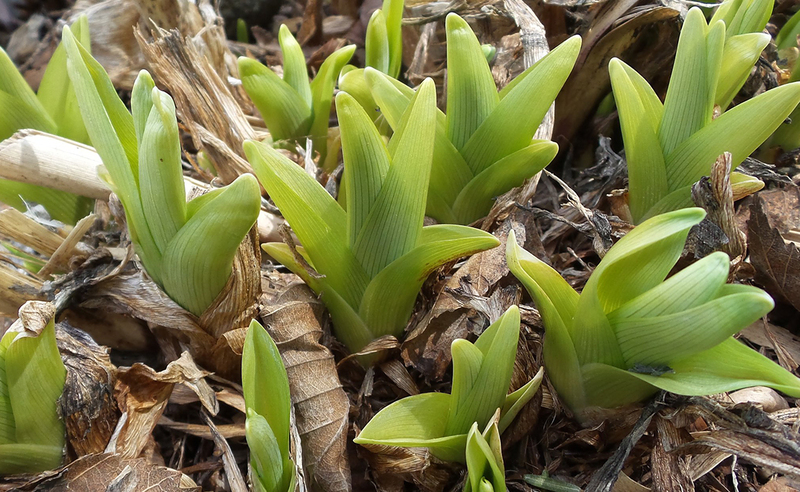 Divide and replant emerging perennials like asters, bee balm, hostas, day lilies, and irises. 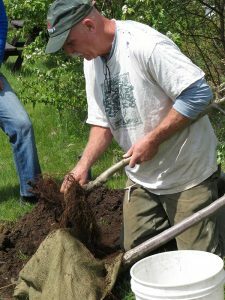 Plant bare-rooted trees when the soil has thawed and is dry. For information on proper selection and planting techniques refer to Bulletin #2366 Selecting, Planting and Caring for Trees and Shrubs in the Maine Landscape. Remove tree guards that were placed around the trunks of young trees to keep mice and voles from damaging the trees during the winter. Guards left in place will trap heat and injure the bark. 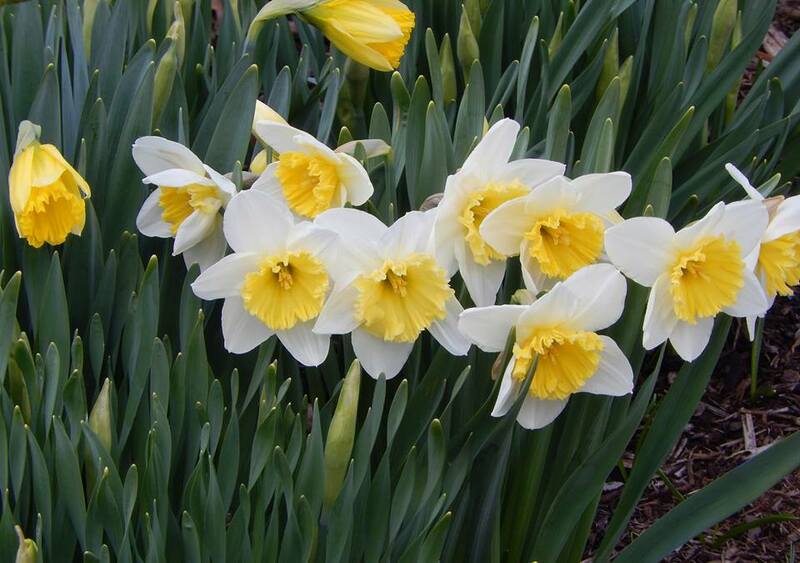 Remove spent flower heads from spring-flowering bulbs like daffodils and hyacinth. Don’t braid or clip leaves. The foliage continues to photosynthesize, which enables the bulb to store food for this dormant period. 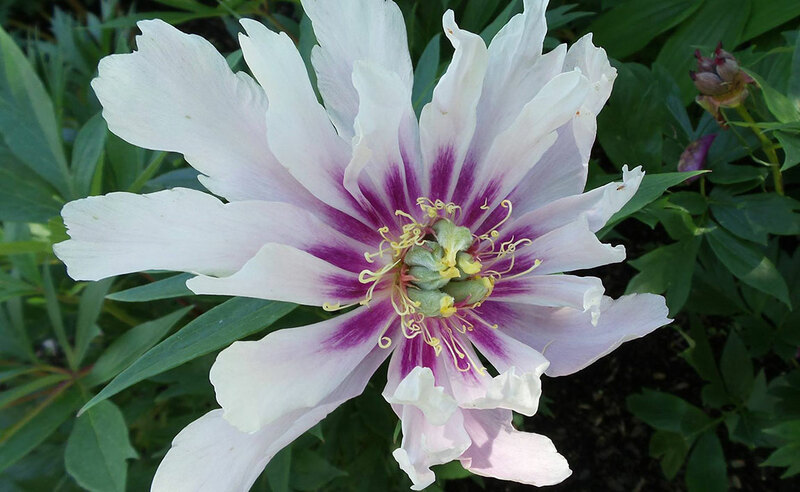 Gardens bring delight to gardeners, visitors, and people passing by. They can also provide important habitat for birds, and in return, more enjoyment for the gardener and visitors. Gardening successfully for birds involves meeting their basic needs of food, water, nesting sites, and shelter. The first step in designing a bird garden is to evaluate your yard from a bird’s perspective. Does it provide for their basic needs? If not, what is lacking? 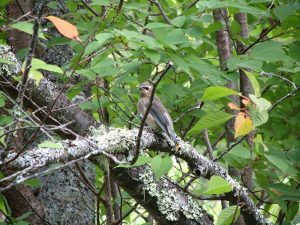 To give you a sense of the types of plants and plant communities that make up the natural bird habitat in your area, visit various local parks and wildlife sanctuaries. 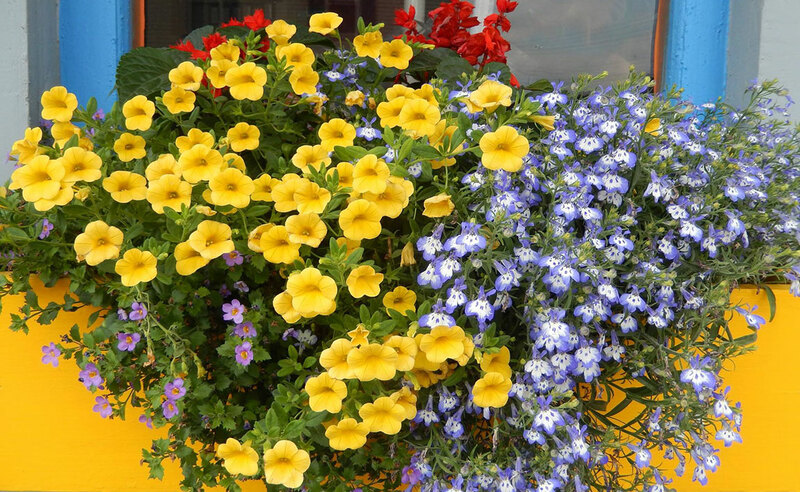 Notice the plants and their habit — are there vertical and horizontal layers; large masses or groupings? Creating a similar environment using native plants is an important step to a successful bird garden. Begin planning your garden by completing an inventory of your property (include plants, habitats, birds, structures, also take note what is on adjacent properties). Next, create a map of your property or the space where you want the garden to be. Sketch in your house, fences, out buildings, driveway, utilities, and all of your existing plants (trees, shrubs, herbaceous plants) — noting which ones benefit the birds. This map will be a good tool for you to identify the existing resources for attracting birds. Once you have your inventory and map, it’s time to start designing your garden. Native plants provide the best food sources for birds. 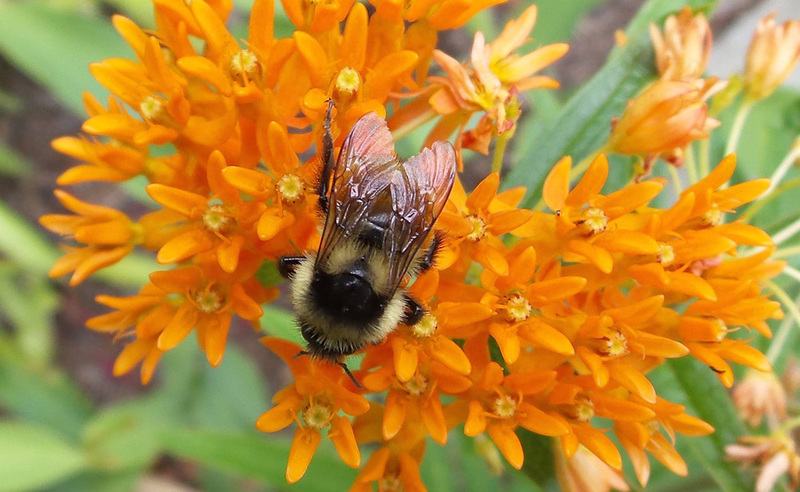 Try to recreate the plant ecosystem native to your area by selecting a variety of plants that offer year-round food in the form of seeds, berries, nuts, buds, nectar, and insects. 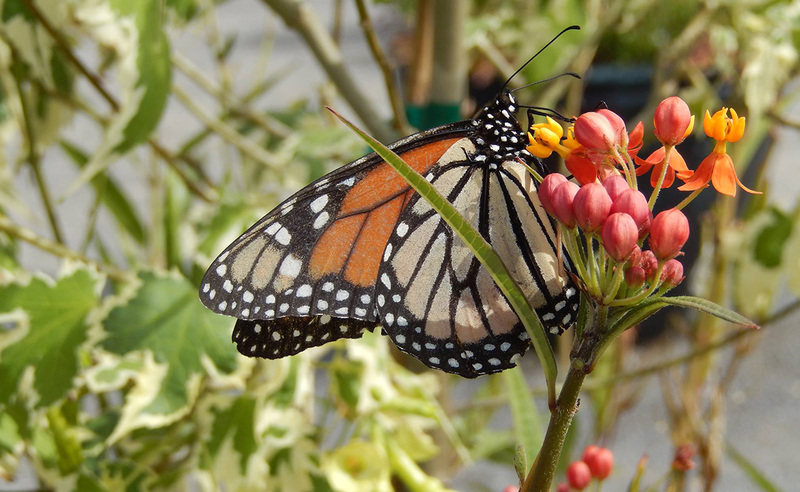 Native insects evolved to feed on native plants, and birds raise their young on insects. Different birds require different kinds of foods in different seasons. While raising their young, adult birds get the energy they need from sweet fruits (e.g. berries and wild cherries); fall migrating birds require fatty fruits (e.g. flowering dogwood and spicebush) to build fat reserves; and wintering birds need abundant, persistent fruits (e.g. conifers, bayberry, crabapples, and sumacs) to help them survive winter temperatures. Persistent fruits are also extremely important for early spring migrating birds. Supplemental feeders can also be used, particularly if there is shortage of natural food. Add variety to the kinds of food you offer, and you’ll attract a wider variety of bird species. Use suet only from October through April or May (sun-warmed suet can cause infected follicles and loss of facial feathers). To protect the birds from predators (like cats), place feeders 10 feet from cover (i.e. dense shrubs and buildings). While birds get much of the water they need from foods, they will also use open water sources such as birdbaths, ponds, and water gardens, for drinking and bathing. Birds need access to water all year long, especially for cooling themselves in summer’s heat and during the winter when ponds, lakes, and streams are frozen or covered with snow. When choosing a birdbath, find one with a shallow slope (no deeper than 3”), as most birds have short legs and avoid deep water. Place the birdbath about 10 feet from dense shrubs or other cover that predators may use. It is a good idea to clean the bath with a stiff brush every few days and add fresh water as needed. Birds will drink from the bath as well as bathe, and excrement and algae can accumulate when baths are neglected. To make sure the birdbath is accessible year round, add a heater in the winter. It’s a bonus if your garden and adjacent property can provide appropriate and adequate nesting sites for your backyard birds. 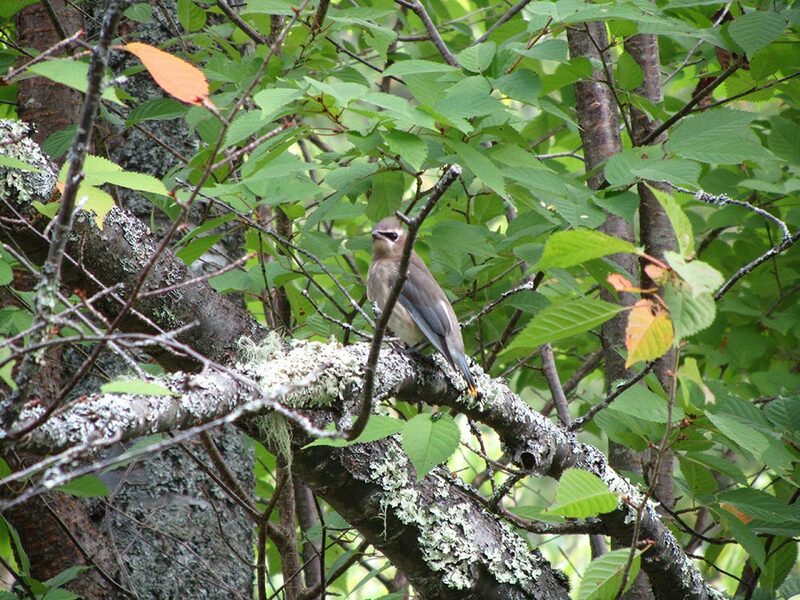 Does your yard have an area of dense thickets that birds could use for nesting, secluded perching, or escape cover? If not, you can easily provide an area by planting and grouping dense shrubs or making a hedge. What about dead trees? Dead trees not only provide cavities for birds to raise their young, they also contain a lot of insects for the birds to feed on. 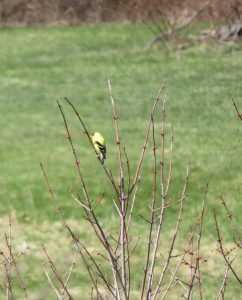 Some birds will nest in brush piles, so think about creating a brush pile in a corner of your yard. Start with larger logs for the base and add smaller branches to the top. Nesting boxes are also a great addition. 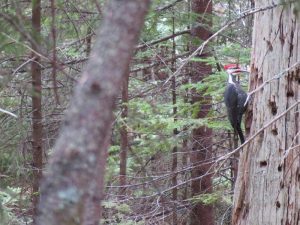 Keep in mind that nesting boxes are species specific. If you want to put out a box for bluebirds, make certain it is a box designed for bluebirds. Nesting boxes need to have ventilation holes at the top and drainage holes on the bottom. Do not use a box with a perch, as house sparrows are known to sit on the perch and peck at other birds using the box. Nesting boxes should have a side panel that opens so the inside of the box is easily accessible and can be cleaned out. Lastly, place nesting boxes out of reach of cats, raccoons, and other predators. Placing a baffle on the pole directly under the box is also a good idea. Providing shelter is different than providing a nesting site. Birds need places where they can hide from predators and inclement weather. Evergreen trees and shrubs provide excellent cover through all seasons. 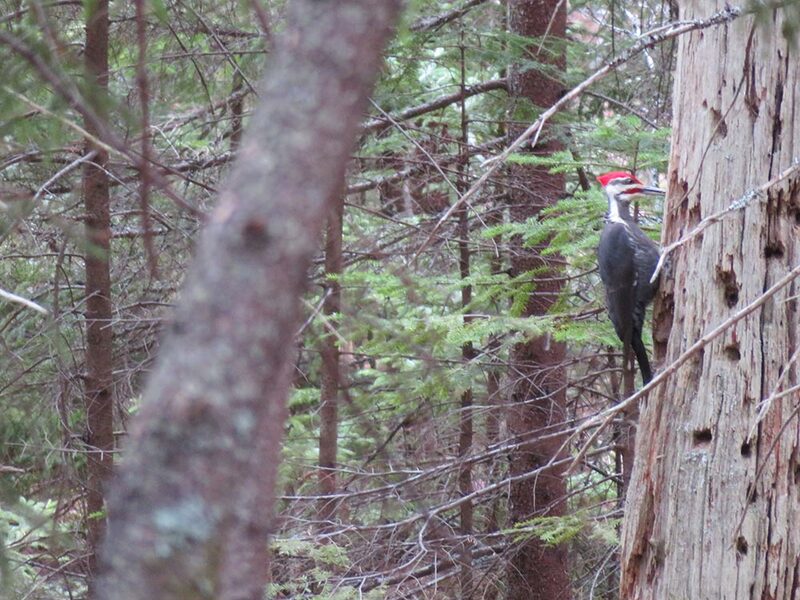 Many birds will also seek shelter from bad weather inside hollowed out trees, brush piles, and rock walls. You can also set-up roosting boxes. They have an entrance hole near the bottom so that heat doesn’t escape. Mount the box in a sheltered area, preferably facing south. Don’t deadhead flowers in the fall — many birds will eat the dried seed heads. Leave the leaves alone — rather than raking leaves in the fall and taking them to the dump, use them to create feeding places for birds. Place the leaves in 5-6” piles under trees and shrubs. By spring the leaves will have decomposed and attracted earthworms, insects, and other animals on which the birds feed. Create a dust bath — many birds, take dust baths to control external parasites. A dusting site can be a dirt driveway or a circle of finely pulverized soil 2 feet across. 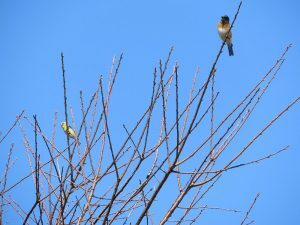 Leave a few dead branches on live trees for perches. Birds tend to perch on dead branches, which they use as singing posts to defend their territories. Provide nesting material in the spring including small twigs, mud, moss, dried grass stems, wool, hair (avoid using hair from animals that have been treated with pesticides, such as flea and tick spray), snakeskins, narrow strips of cloth, string and yarn. DON’T USE laundry dryer lint. It will soak up water and may be steeped with chemicals unhealthy for birds. 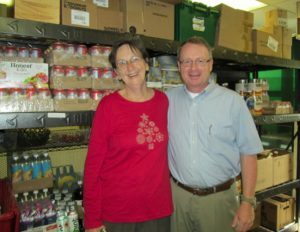 North Berwick Food Pantry Volunteer Mary Craig (left) with Pastor Tim Kezar (right) at the grand opening of the new site for the North Berwick Food Pantry. York County has had an Active Maine Harvest for Hunger (MHH) program for 17 years now, and through the tremendous generosity and farming skills of the Spiller Farm in Wells, our volunteers are able to glean 20,000-30,000 lbs. of fresh vegetables each year from that one farm alone. The dilemma we had faced each year was how to distribute the right amount of food to more hunger relief organizations in Southern York County. 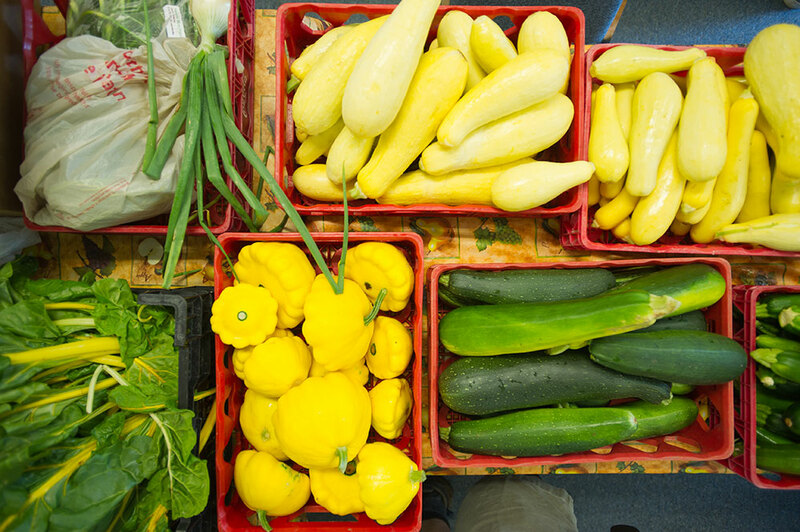 The York County Shelter Program and Food Pantry, the largest of the 40+ agencies served by the program in the county, received truckloads of fresh vegetables, delivered by Master Gardener volunteers, while gleaners tried to deliver the right amounts of food to other food pantries in their home communities. During a discussion of the distribution issue at a winter MHH planning team meeting in 2014, Master Gardener Volunteers’ Cheryl Shaw, Theresa Korish, and Zelda Kenney formed a sub-committee to personally survey directors of six agencies all located within a few miles of each other to see if there was a way to work together on the problem. The conversation moved on to what to do when one pantry has an excess of a commodity or fresh produce, food storage, and other issues. Soon, the directors were exchanging phone numbers and emails and offering to share information and food. Separately, several members of the MHH planning team met with representatives of the York County Shelter Program and Food Pantry. As a result, the shelter/pantry program committed to sending a van to pick up what still remains the larger share of the Spiller mother-lode of fresh vegetables. As the gleaning season began at Spiller Farm, our MHH volunteers also put a distribution plan into place. Upon finishing that day’s gleaning, gleaners prepared for the food pantries vans and trucks arrival by weighing and dividing all the produce into shares for each pantry based on their needs. During a follow-up meeting at the end of the season the agency representatives were in solid agreement about just how much their recipients savored the regular appearance of fresh healthy vegetables and that there was much less waste because they were able to gauge the quantities needed. It was also revealed that when one of the directors was sidelined by an injury, other directors stepped in to pick up her share. Two years later our MHH volunteers continue to hold winter meetings with pantry volunteers and York County Shelter program representatives to discuss how things went the past year and what their anticipated need is for the coming year — and of course, there is always Cheryl’s apple pie to enjoy. Wild leeks, also known as ramps, are a tasty herbaceous perennial with very scant distribution in Maine. The Maine Natural Areas Program lists wild leeks as a plant of special concern. Wild leeks are in the Allium family along with other members including onions, garlic, and chives. Emerging very early in the spring, wild leeks prefer locations along streams and rivers in the understory of hardwood trees such as maples and ash. Identification of wild leeks is easy. They are a monocot, so have parallel leaf veins. The simple dark green leaves are about 8 inches long and about 2-3 inches wide. Wild leeks tend to form colonies — where you find one, you’ll find many. Try pinching a small piece of the leaf — it will smell distinctly of onion/garlic. Wild leeks propagate from seeds and by directly connected underground stems called rhizomes. They spread very slowly in part because it takes about 7 years to produce a seed-bearing plant from a planted seed. Wild leeks are an excellent example of a spring ephemeral. Their tops die back in June, then mature plants will send up a flower stalk with an umbel of small white blossoms with 6 petals. The black, shiny seeds that result may stay on the stalk until the following spring. Harvesting of wild leeks should be done in great moderation. Research has shown that no more than 1% of a population should be removed to ensure a sustainable harvest. Cherokee people and harvesters in the Ukraine only pick the leaves, or part of the leaves of the plant, leaving the small, slender bulb to survive and grow again. The Maine Wild Leek Project would like to enlist your help as a citizen scientist to document the distribution of wild leeks in Maine. To log locations of wild leeks, please use this form. Information on location of wild leeks is confidential and will not be distributed. Donating, recovering, and gleaning foods that would otherwise go to waste helps feed hungry Mainers. When donating food, it is important to consider both the safety and quality of the food. Use the following checklist to decide whether foods are unsafe to give to food pantries, cupboards, and shelters. For more information to help you decide whether a commercially canned food item is safe to use, visit UMaine Extension’s publication #4306 Is This Can Safe To Use? Do not rely solely on look or smell. Foods that cause food poisoning may look fine and smell okay. Never taste suspicious foods! Adapted from University of Maine Cooperative Extension Bulletin #4302, Food Safety for Food-Pantry Donations.